1187 left in stock, Hurry! 6" long high grade 410 Surgical steel Hole is about 2.9mm wide. BUCKET FORCEP - You can't really tell from the picture but the Far end is actually closed off. Meaning when you pierce, there is no chance to prick yourself. The needle tip hits the bucket wall. 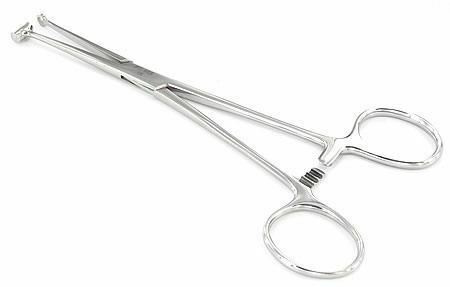 Really good forcep for tight ear piercings.